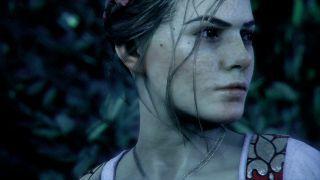 The one thing you should takeaway from this article is that you need to have A Plague Tale: Innocence on your radar. Asobo Studio’s action-adventure game is narrative-driven, part puzzle, not a AAA game, but my god, it looks and plays like a mix between The Last of Us with the sibling relationship of Brothers: A Tale of Two Sons thrown in for good measure. Set in medieval France and centred around the teenage Amicia and her young brother Hugo, this brother and sister has to survive while being hunted by the Inquisition… and hordes of flesh-eating rats. But they’re not as close as you’d think. Because Amicia and Hugo have never met. Inspired by kids in Ghibli movies and how quickly they have to mature, Amicia is going to have to grow up real fast to take care of Hugo, who has a mysterious disease that’s somehow linked to the rats scurrying in hordes across France. She’s not his biggest fan, though - actually, I thought he was kind of a brat. Brought up in seclusion and only tended to by his mother, trust me, he’s not an easy to take care of. He wants his mummy, has tantrums, gets distracted, and he doesn’t understand why Amicia can’t take him home (the Inquisition has killed everyone who worked there in an effort to find Hugo. Cheery.). But his safety is your priority, as you play as Amicia, who’s been shoved out of her sheltered upbringing to bring her brother to a doctor who might be able to cure his disease. Everyone is out to get you: the Inquisition, a harsh faction who want to grab Hugo at any cost, pursues you throughout France, and with a plague ravaging the rest of the country you also have desperate villagers to deal with. As outsiders you’re always treated with suspicion. And when people get suspicious, they get ruthless. But forget about those other people for a moment. Yeah, Hugo is a handful, but nonetheless the siblings’ gradually-evolving relationship really shines. After playing it for a couple of hours you can already see Hugo beginning to understand that things have irreparably changed while Amicia struggles to find her way (both metaphorically and literally). In her situation I’d be just as much of a mess, and you probably would too. Unsettled and stressed, her terror at going from being a Lord’s daughter to someone people want to kill is horribly infectious. This is where The Last of Us comparisons end. Amicia isn’t like Joel. She can’t take multiple hits and still stagger on: one hit and you’re dead. During A Plague Tale: Innocence you can’t take enemies head-on: you'll have to find a way past patrolling civilians and guards, distracting them with your slingshot and sneaking past them, or using Hugo to get to difficult-to-reach places to solve puzzles. Then there’s also the horrifying man-eating rats to avoid, who flee from the light but will devour anything in the dark. With up to 5,000 scurrying around on your screen at once, the scraping of their claws on the ground was enough to make me feel like I needed a shower. Luckily for Amicia and Hugo, they can use flaming torches to manipulate the rats to their advantage, or use Amicia’s slingshot to put out lanterns and draw the rats away from their path. But that means killing some innocent people. Unlike hordes of videogame characters, Amicia isn’t used to death. After headshotting a villager who was throttling Hugo, she staggers, stunned, and the screen warps as she goes into shock at just having killed someone. For Amicia it’s a last resort and it really shows, with her reaction making me reflect on what I had just done in a way that made me quite uncomfortable. Did he really deserve it? He was probably just like everyone else I had met, scared and desperate and vicious. Was there any other way for me to save Hugo from his grasp? Can I go back and re-do that scene? But it’s too late to change anything, as in the medieval streets mob mentality reigns supreme. These are good people made bad by fear and desperation, and it’s hard not to sympathise with them. The first boss I fought wasn’t the typical bad guy either. Alright, so he might have wanted to smash me on the floor with a big mace, but during our duel he wasn’t just a ball of fury. He was bellowing about the children he’d lost, thinking I had brought the plague that killed them, that I was the reason they’re dead. This fight was sad, not triumphant. And when I killed him with a well-aimed slingshot to the head, I didn’t feel good about it. Death isn’t something to be shrugged off in A Plague Tale: Innocence. Killing someone, or seeing someone die, takes an agonizingly long time. Although rats shrink away from the light, in the dark they’ll devour any humans in their path. Extinguishing guards’ torches with Amicia’s slingslot as they wade through waves of rats lets you see the brutality and semi-reality of death. Over the space of about five seconds rats crawl up their legs and arms, gnashing at their throat, before the person drops to their knees and disappears underneath a mountain of rats. Their scream turns into a gurgle, they try to bat away the rodents, but it doesn’t work. A half-eaten skeleton is left behind, with horribly-recognisable flesh hanging from their bones. When I was playing I didn’t have to choose between killing someone or finding a way past them that didn’t involve pushing the man-eating rats their way, but even after playing for a couple of hours I know that making that decision isn’t going to be easy. A Plague Tale: Innocence is a game you have to keep an eye out for. Although I’ve focused on how it treats death, the game isn’t all dark morbid observations: poignant moments like Hugo lighting candles in an abandoned church to show he’s thinking about his mother are there to give you a brief respite from fleeing. At unexpected moments Hugo’s simple child mind lifts the unrelenting burden placed on Amicia’s shoulders too, whether that’s him putting a flower in her hair or jumping around like the frogs he can see at the water’s edge. This combination of a growing sibling relationship and the outstanding graphics prove that A Plague Tale: Innocence is one to watch out for, and could just be 2019’s sleeper hit. Here’s the other new games 2019 has in store for you, or watch the video below to see the top five to look out for!